CASIA-IrisV4 is released on Biometrics Ideal Test(12/14/2010)! 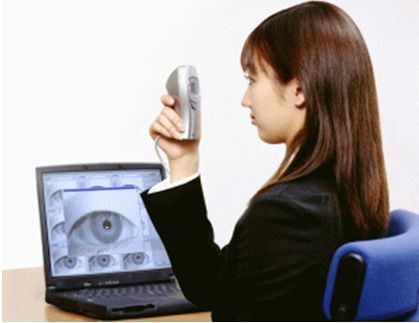 With fast development of iris image acquisition technology, iris recognition is expected to become a fundamental component of modern society, with wide application areas in national ID card, banking, e-commerce, welfare distribution, biometric passport, and forensics, etc. Since 1990s, research on iris image processing and analysis has achieved great progress. However, performance of iris recognition systems in unconstrained environments is still far from perfect. Iris localization, nonlinear normalization, occlusion segmentation, liveness detection, large-scale identification and many other research issues all need further investigation. The success of investigations into such issues often depends on the availability of carefully designed iris image databases of sufficient size. Such publicly available datasets are however very limited. Therefore we are pleased to release to the public domain CASIA Iris Image Database V3.0 (or CASIA-IrisV3 for short) in order to further promote research and progress on iris recognition. CASIA-IrisV3 includes three subsets which are labeled as CASIA-Iris-Interval, CASIA-Iris-Lamp, CASIA-Iris-Twins. CASIA-IrisV3 contains a total of 22,035 iris images from more than 700 subjects. All iris images are 8 bit gray-level JPEG files, collected under near infrared illumination. Some statistics and features of each subset are summarized in Table 1. Almost all subjects are Chinese except a few in CASIA-Iris-Interval. Because the three data sets were collected in different times, only CASIA-Iris-Interval and CASIA-Iris-Lamp have a small overlap in subjects. Iris images of CASIA-Iris-Interval were captured with our self-developed close-up iris camera (Fig.1). The most compelling feature of our iris camera is that we have designed a circular NIR LED array, with suitable luminous flux for iris imaging. Because of this novel design, our iris camera can capture very clear iris images (see Fig.2). CASIA-Iris-Interval is well-suited for studying the detailed texture features of iris images. CASIA-Iris-Lamp was collected using a hand-held iris sensor produced by OKI (Fig.3). A lamp was turned on/off close to the subject to introduce more intra-class variations when we collected CASIA-Iris-Lamp. Elastic deformation of iris texture (Fig.4) due to pupil expansion and contraction under different illumination conditions is one of the most common and challenging issues in iris recognition. So CASIA-Iris-Lamp is good for studying problems of non-linear iris normalization and robust iris feature representation. CASIA-Iris-Twins contains iris images of 100 pairs of twins, which were collected during Annual Twins Festival in Beijing using OKI's IRISPASS-h camera (Fig.5). Although iris is usually regarded as a kind of phenotypic biometric characteristics and even twins have their unique iris patterns, it is interesting to study the dissimilarity and similarity between iris images of twins. Download the CASIA Iris Image Databases. Tieniu Tan, Zhaofeng He, Zhenan Sun, "Efficient and robust segmentation of noisy iris images for non-cooperative iris recognition", Image and Vision Computing, Vol.28, No. 2, 2010, pp.223-230. T. Tan and L. Ma, “Iris Recognition: Recent Progress and Remaining Challenges”, Proc. of SPIE, Vol. 5404, pp. 183-194, 12-13 Apr 2004, Orlando, USA. Zhenan Sun, Tieniu Tan, "Ordinal Measures for Iris Recognition," IEEE Transactions on Pattern Analysis and Machine Intelligence, Vol. 31, No. 12, 2009, pp. 2211 - 2226. Zhaofeng He, Tieniu Tan, Zhenan Sun and Xianchao Qiu, "Towards Accurate and Fast Iris Segmentation for Iris Biometrics", IEEE Transactions on Pattern Analysis and Machine Intelligence, Vol. 31, No. 9, 2009, pp.1670 - 1684. L. Ma, T. Tan, Y. Wang and D. Zhang, “Personal Identification Based on Iris Texture Analysis”, IEEE Trans. on Pattern Analysis and Machine Intelligence (PAMI), Vol. 25, No. 12, pp.1519-1533, 2003. Li Ma, Tieniu Tan, Yunhong Wang and Dexin Zhang, “Efficient Iris Recognition by Characterizing Key Local Variations”, IEEE Trans. on Image Processing, Vol. 13, No.6, pp. 739- 750, 2004. L. Ma, T. Tan, D. Zhang and Y. Wang, “Local Intensity Variation Analysis for Iris Recognition, Pattern Recognition”, Vol.37, No.6, pp. 1287-1298, 2004. Zhenan Sun, Yunhong Wang, Tieniu Tan, Jiali Cui, “Improving Iris Recognition Accuracy via Cascaded Classifiers”, IEEE Transactions on Systems, Man, and Cybernetics-Part EVolume 35, Issue 3, 2005, pp.435 - 441. Zhenan Sun, Tieniu Tan, Yunhong Wang, “Robust Encoding of Local Ordinal Measures: A General Framework of Iris Recognition”, Proceedings of International Workshop on Biometric Authentication (BioAW), Lecture Notes in Computer Science, Vol.3087, 2004, pp. 270-282. Zhenan Sun, Yunhong Wang, Tieniu Tan, Jiali Cui, “Improving Iris Recognition Accuracy via Cascaded Classifiers”, Proceedings of the 1st International Conference on Biometric Authentication, Lecture Notes in Computer Science, Vol.3072, 2004, pp. 418-425. Zhenan Sun, Yunhong Wang, Tieniu Tan, Jiali Cui, “Robust Direction Estimation of Gradient Vector Field for Iris Recognition”, Proceedings of the 17th International Conference on Pattern Recognition, Vol.2, 2004, pp.783-786. Zhenan Sun, Yunhong Wang, Tieniu Tan, Jiali Cui, “Cascading Statistical And Structural Classifiers For Iris Recognition”, Proceedings of IEEE International Conference on Image Processing, 2004, pp.1261-1264. Zhenan Sun, Tieniu Tan, Yunhong Wang, “Iris Recognition Based on Non-local Comparisons”, Proceedings of the 5th Chinese Conference on Biometric Recognition, Lecture Notes in Computer Science, Vol.3338, 2004, pp. 67-77. Zhenan Sun, Tieniu Tan, and Xianchao Qiu, "Graph Matching Iris Image Blocks with Local Binary Pattern", Proceedings of International Conference on Biometrics, Lecture Notes in Computer Sciences, Vol. 3832, 2005, pp. 366-372. Xianchao Qiu, Zhenan Sun, Tieniu Tan, “Global Texture Analysis of Iris Images for Ethnic Classification”, Proceedings of International Conference on Biometrics, Lecture Notes in Computer Sciences, Vol. 3832, 2005, pp. 411 - 418. Zhuoshi Wei, Tieniu Tan, Zhenan Sun, Jiali Cui, “Robust and Fast Assessment of Iris Image Quality”, Proceedings of International Conference on Biometrics, Lecture Notes in Computer Sciences, Vol. 3832, 2005, pp. 464 - 471. Jiali Cui, Li Ma, Yunhong Wang, Tieniu Tan and Zhenan Sun, “An Appearance-Based Method for Iris Detection”, Proc. of the 6th Asian Conference on Computer Vision (ACCV), Vol.2, pp.1091-1096, 2004, Korea. Jiali Cui, Yunhong Wang, Junzhou Huang, Tieniu Tan, Zhenan Sun and Li Ma, “An Iris Image Synthesis Method Based on PCA and Super-Resolution”, Proc. of the 17th IAPR International Conference on Pattern Recognition (ICPR), Vol. 4, pp. 471-474, 23-26 August 2004, Cambridge, UK. Jiali Cui, Li Ma, Yunhong Wang, Tieniu Tan and Zhenan Sun, “A Fast and Robust Iris Localization Method Based on Texture Segmentation”, Proc. of SPIE, Vol. 5404, pp. 401-408, 2004, USA. Jiali Cui, Yunhong Wang, Li Ma, Tieniu Tan and Zhenan Sun, “An Iris Recognition Algorithm Using Local Extreme Points”, Proceedings of the 1st International Conference on Biometric Authentication, Lecture Notes in Computer Science, Vol.3072, 2004, pp. 442-449. Jiali Cui, Yunhong Wang, Tieniu Tan and Zhenan Sun, “Fast Recursive Mathematical Morphological Transforms”, Proc. of the 3rd International Conference on Image and Graphics (ICIG), pp. 422-425, 2004, Hong Kong. Junzhou Huang, Tieniu Tan, Li Ma, and Yunhong Wang, Phase Correlation Based Iris Image Registration Model, Journal of Computer Science and Technology, Vol.20, No.3, pp.419-425, May 2005. L. Ma, Y. Wang and T. Tan, “Iris Recognition Based on Multichannel Gabor Filtering”, Proc. of the 5th Asian Conference on Computer Vision (ACCV), Vol. I, pp.279-283, Jan 22-25, 2002, Melbourne, Australia. L. Ma, Y. Wang and T. Tan, “Iris Recognition Using Circular Symmetric Filters”, Proc. of IAPR International Conference on Pattern Recognition ICPR, Vol. II, pp. 414-417, August 11-15, 2002, Quebec, Canada. J. Z. Huang, L. Ma, T. N. Tan and Y. H. Wang, “Learning-Based Enhancement Model of Iris”, Proc. of British Machine Vision Conference (BMVC), pp. 153-162, 2003. J. Z. Huang, L. Ma, and Y. H. Wang and T. N. Tan, “Iris Model Based on Local Orientation Description”, Proc. of the 6th Asian Conference on Computer Vision (ACCV), Vol.2, pp. 954-959, 2004, Korea. J. Z. Huang, Y. H. Wang, T. N. Tan and J. L. Cui, “A New Iris Segmentation Model”, Proc. of the 17th IAPR International Conference on Pattern Recognition (ICPR), Vol. 3, pp. 554-557, 23-26 August 2004, Cambridge, UK. J. Z. Huang, Y. H. Wang, J. L. Cui and T. N. Tan, “Noise Removal and Impainting Model for Iris Image”, Proc. of IEEE International Conference on Image Processing (ICIP), pp. 869-872, 2004, Singapore. Yuqing He, Yangsheng Wang and Tieniu Tan, “Iris Image Capture System Design For Personal Identification”, Proceedings of the 5th Chinese Conference on Biometric Recognition, Lecture Notes in Computer Science, Vol.3338, 2004, pp. 546-552. Zhuoshi Wei, Tieniu Tan, Zhenan Sun, Jiali Cui, "Robust and Fast Assessment of Iris Image quality", Proc. of International Conference of Biometrics, pp. 464-471, 2006. Zhuoshi Wei, Tieniu Tan and Zhenan Sun, "Nonlinear Iris Deformation Correction Based on Gaussian Model", International Conference of Biometrics, pp 780-789, 2007. Zhuoshi Wei, Yufei Han, Zhenan Sun and Tieniu Tan, Palmprint Image Synthesis: A Preliminary Study, Proc. of IEEE International Conference on Image Processing, 2008. Zhuoshi Wei, Tieniu Tan and Zhenan Sun, Synthesis of Large Realistic Iris Databases Using Patch-based Sampling, Proc. of IEEE International Conference on Pattern Recognition (ICPR), 2008. Zhuoshi Wei, Xianchao Qiu, Zhenan Sun and Tieniu Tan, Counterfeit Iris Detection Based on Texture Analysis, Proc. of IEEE International Conference on Pattern Recognition (ICPR), 2008. Zhaofeng He, Tieniu Tan and Zhenan Sun, “Iris Localization via Pulling and Pushing”, Proc. of the 18th IEEE International Conference on Pattern Recognition (ICPR'06), Vol.4, pp. 366-369, 2006, Hongkong. Zhaofeng He, Zhenan Sun, Tieniu Tan and Xianchao Qiu, Enhanced Usability of Iris Recognition via Efficient User Interface and Iris Image Restoration, Proc. of the 15th IEEE International Conference on Image Processing (ICIP’08), 2008, San Diego, California Accepted. Zhaofeng He, Tieniu Tan, Zhenan Sun and Xianchao Qiu, Robust Eyelid, Eyelash and Shadow Localization for Iris Recognition”, Proc. of the 15th IEEE International Conference on Image Processing (ICIP’08), 2008, San Diego, California, Accepted. Zhaofeng He, Tieniu Tan, Zhenan Sun and Zhuoshi Wei, “Efficient Iris Spoof Detection via Boosted Local Binary Patterns”, Proc. of the Third International Conference on Biometrics, Lecture Notes in Computer Science, Vol.5558, pp.1080-1090, 2009. Xianchao Qiu, Zhenan Sun, and Tieniu Tan, "Coarse Iris Classification by Learned Visual Dictionary", In Proc. of The 2nd International Conference on Biometrics, pp. 770�C779, Seoul, Korea, Aug. 2007. Xianchao Qiu, Zhenan Sun, and Tieniu Tan, "Global Texture Analysis of Iris Images for Ethnic Classification", In Proc. of The 1st International Conference on Biometrics, pp. 411�C418, Hong Kong, China. Jan. 2006. Wenbo Dong, Zhenan Sun, Tieniu Tan, Xianchao Qiu, Self-adaptive iris image acquisition system, Proc. SPIE vol. 6944, 1-9, 2008. 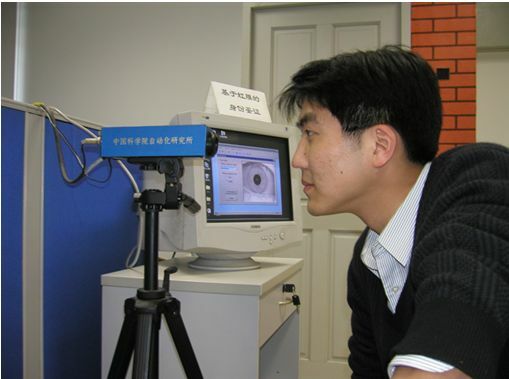 Wenbo Dong, Zhenan Sun, Tieniu Tan, How to make iris recognition easier?, Proc. of the 19th International Conference on Pattern Recognition, pp.1-4, 2008. Wenbo Dong, Zhenan Sun, Tieniu Tan, Zhuoshi Wei, "Quality-based dynamic threshold for iris matching", In Proceedings of IEEE International Conference on Image Processing, 2009. Long Zhang, Zhenan Sun, Tieniu Tan and Shungeng Hu, "Robust Biometric Key Extraction Based on Iris Cryptosystem", Proc. of the Third International Conference on Biometrics, Lecture Notes in Computer Science, Vol.5558, pp.1060-1069, 2009. Hui Zhang, Zhenan Sun, and Tieniu Tan, Contact lens detection based on weighted LBP, The 20th IEEE International Conference on Pattern Recognition (ICPR2010), Istanbul, Turkey, 2010. Hui Zhang, Zhenan Sun, and Tieniu Tan, Statistics of Local Surface Curvatures for Mis-Localized Iris Detection, The 17th IEEE International Conference on Image Processing (ICIP2010), Hong Kong, China, 2010. Xiaobo Zhang, Zhenan Sun, and Tieniu Tan, "Texture Removal for Adaptive Level Set based Iris Segmentation", The 17th IEEE International Conference on Image Processing (ICIP2010), Hong Kong, China, 2010. Xiaobo Zhang, Zhenan Sun, and Tieniu Tan, "Hierarchical Fusion of Face and Iris for Personal Identification", The 20th IEEE International Conference on Pattern Recognition (ICPR2010), Istanbul, Turkey, 2010.